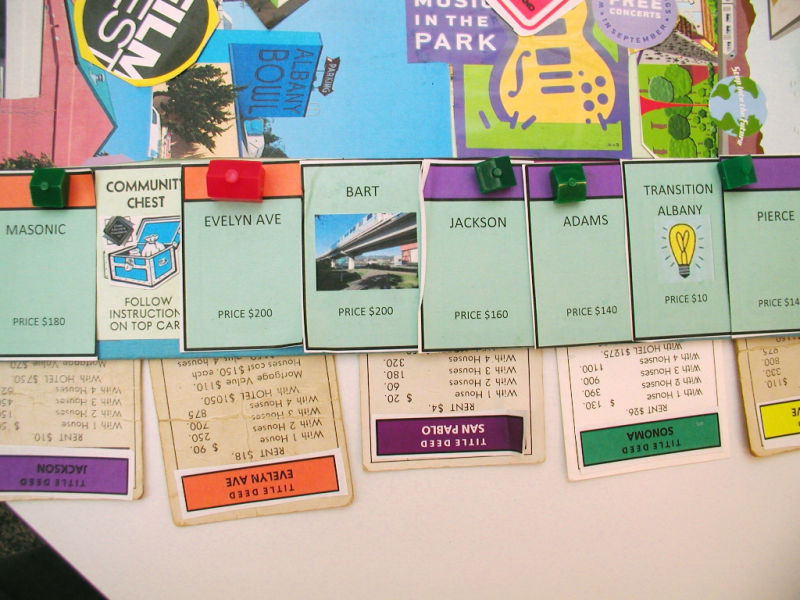 Advance to Evelyn Avenue. 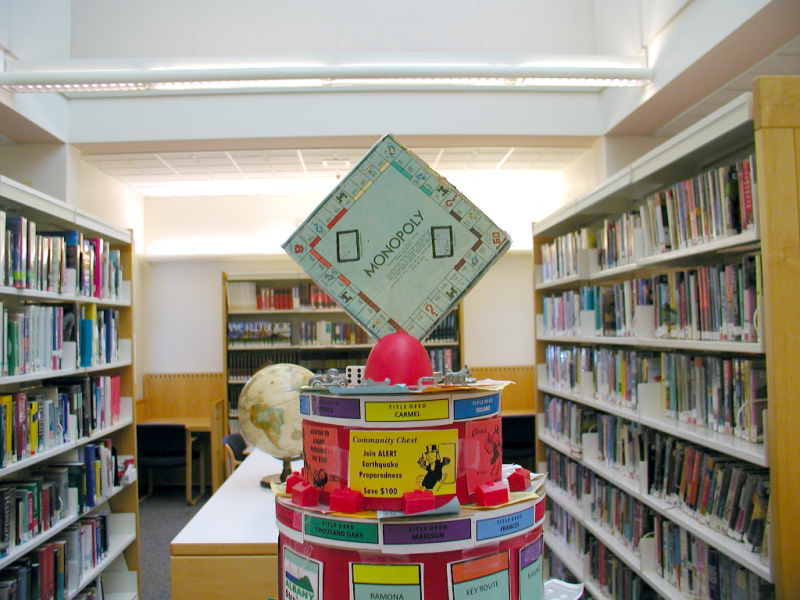 Go directly to the Library. 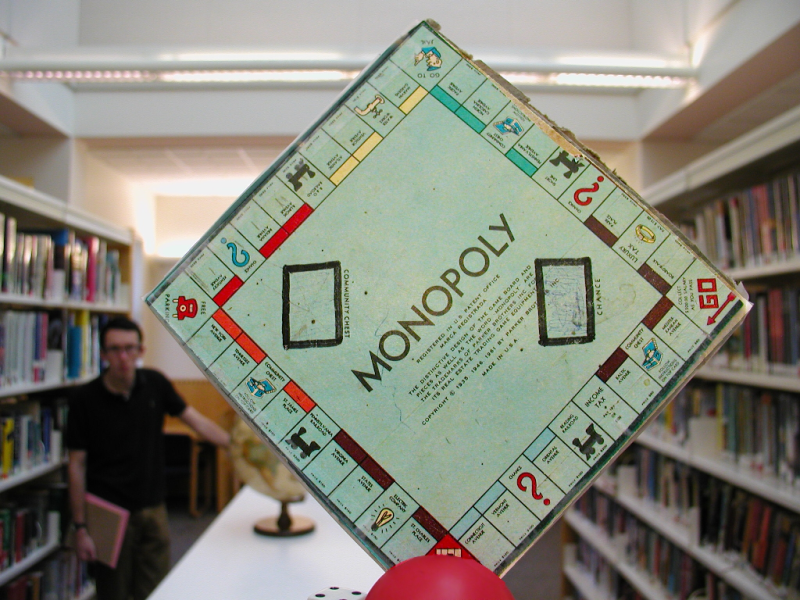 Do Not Pass Go! 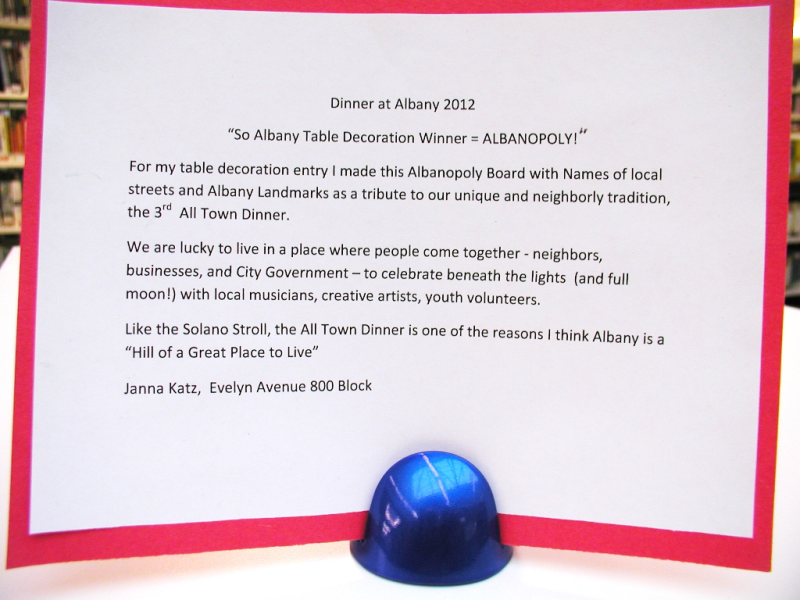 Evelyn Avenue resident, Janna Katz, crafted this witty, wonderful centerpiece for her table at Dinner with Albany. 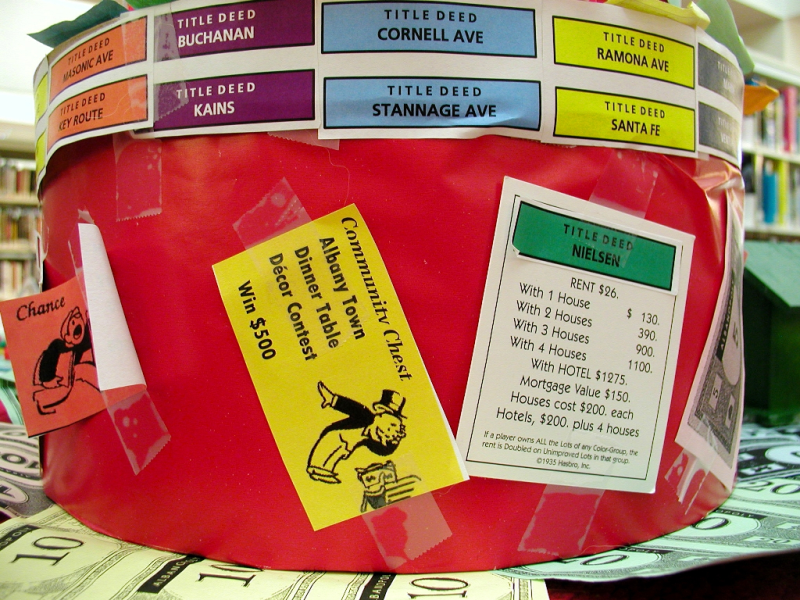 No surprise that she hauled home the prize for best decor! 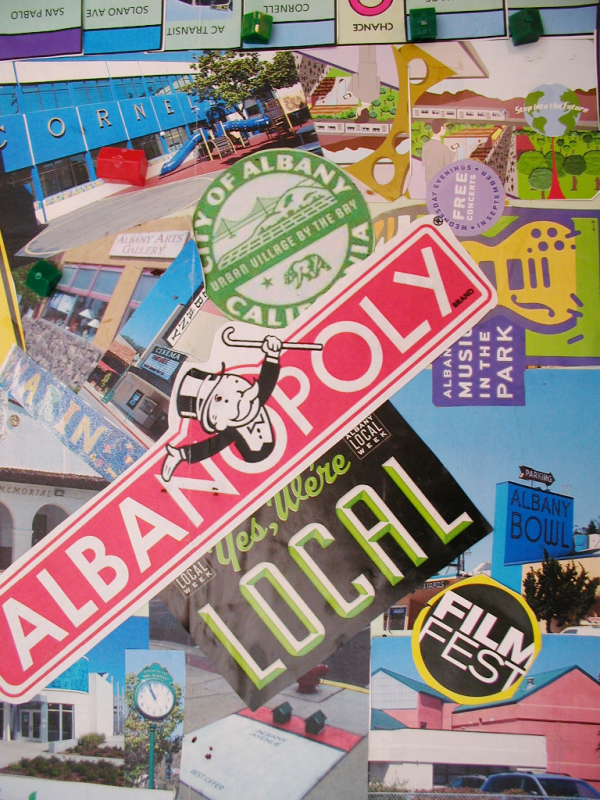 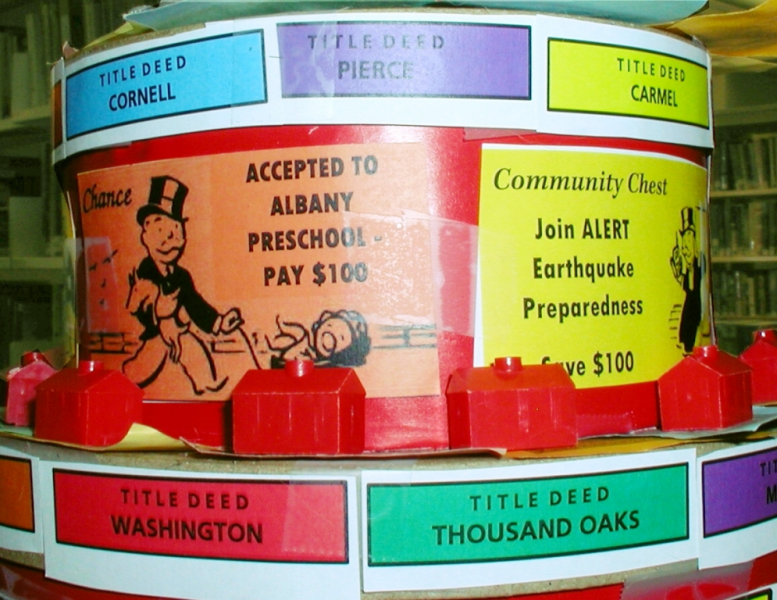 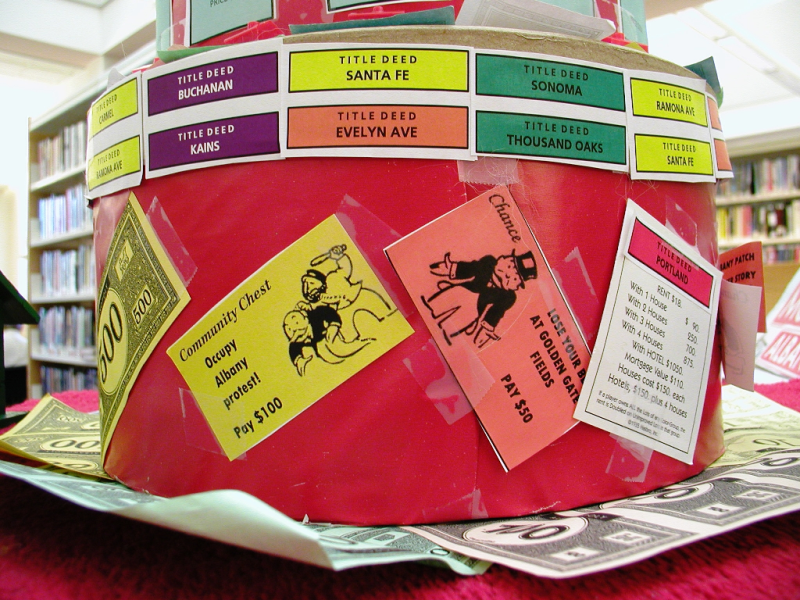 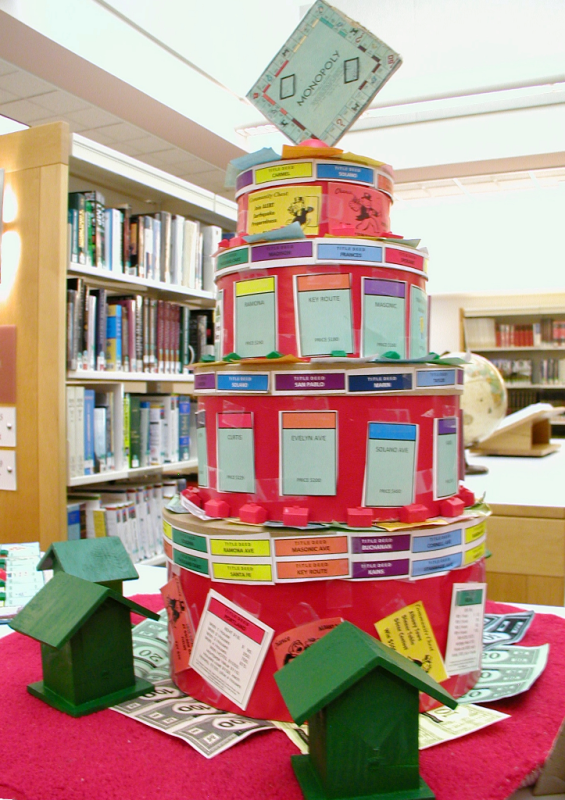 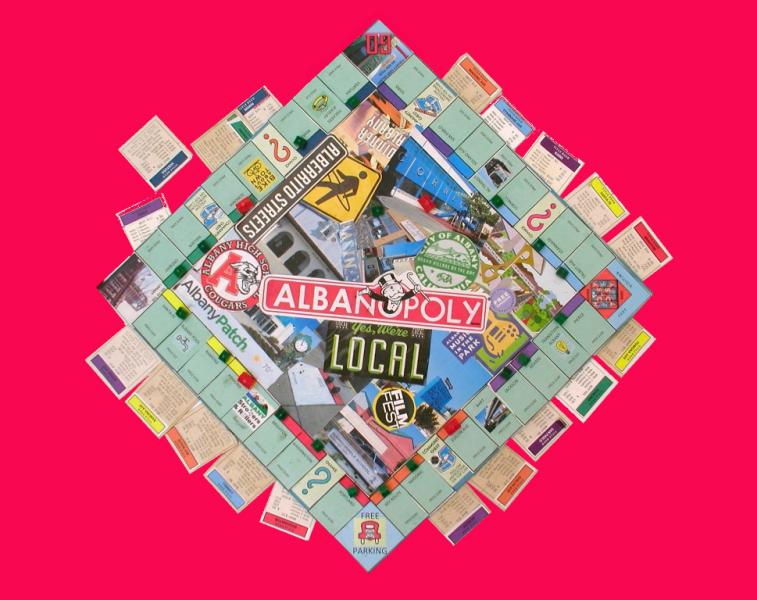 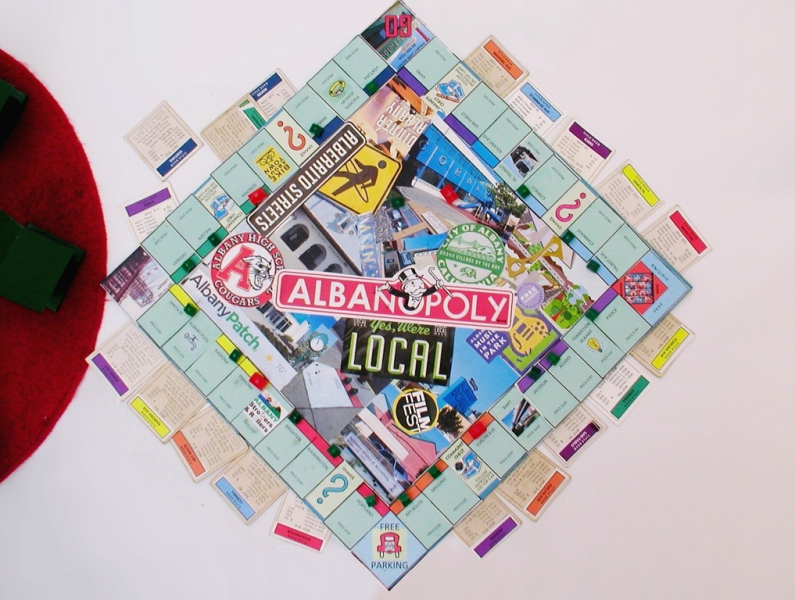 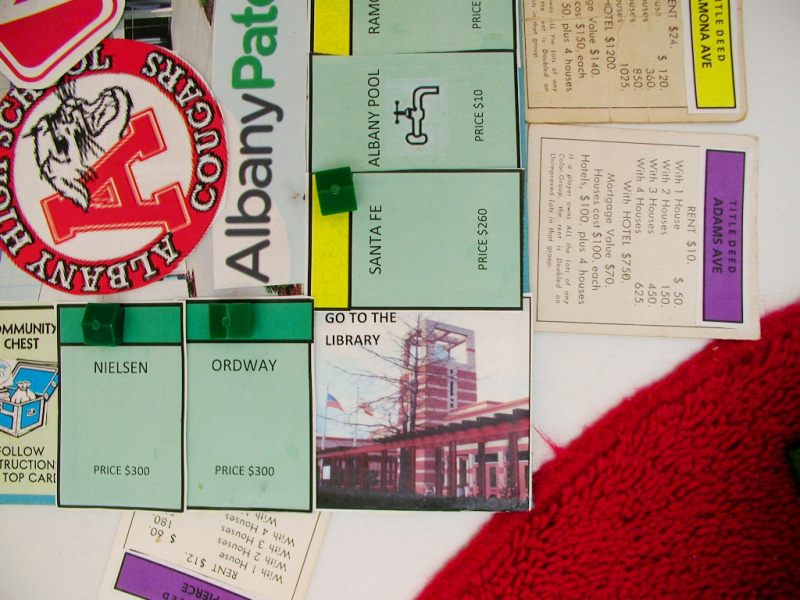 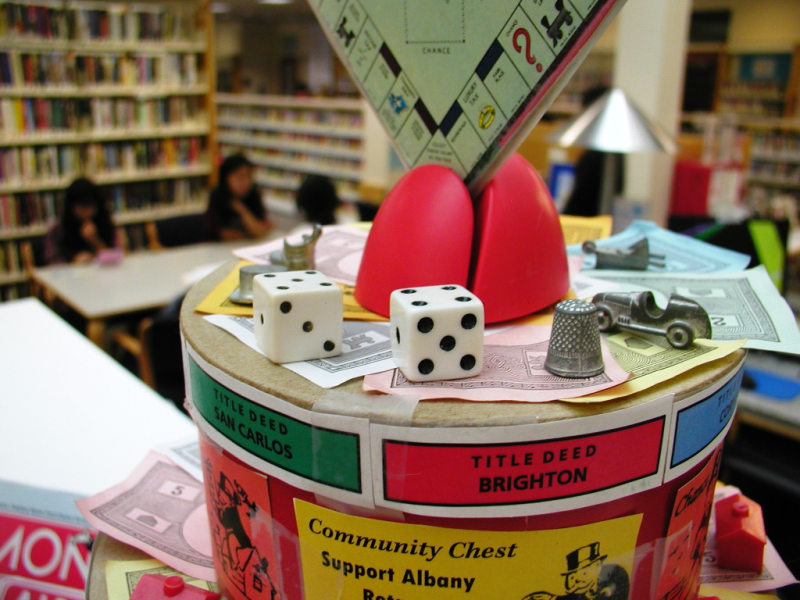 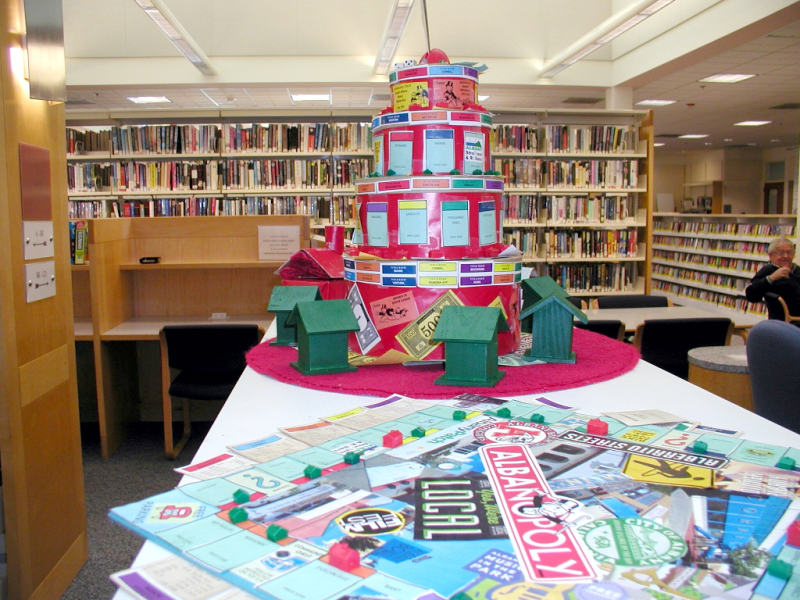 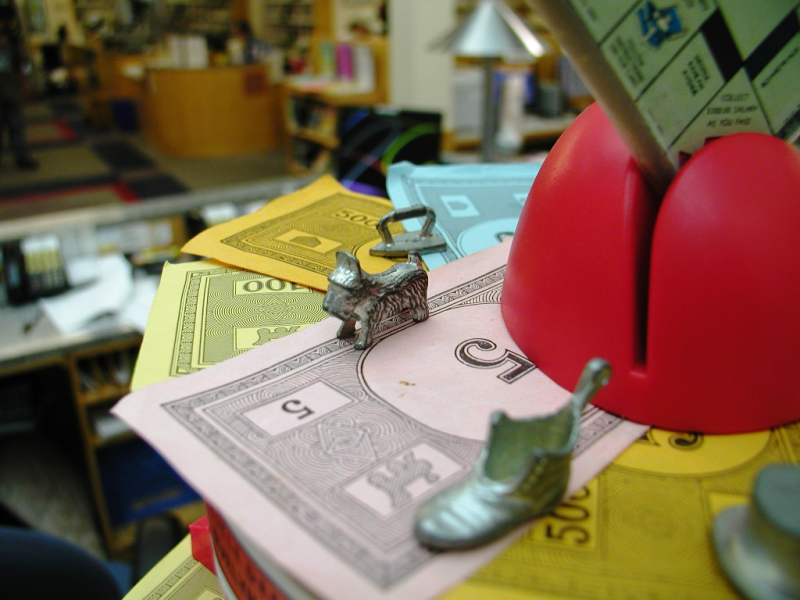 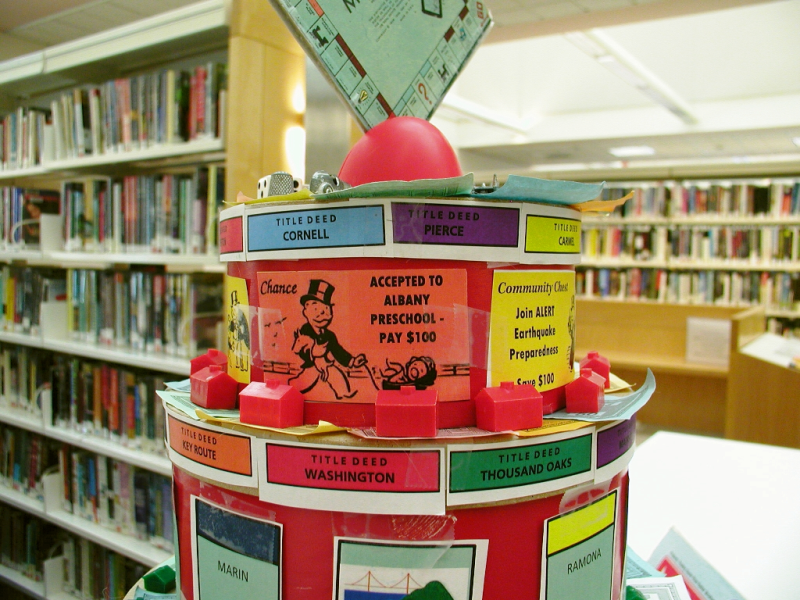 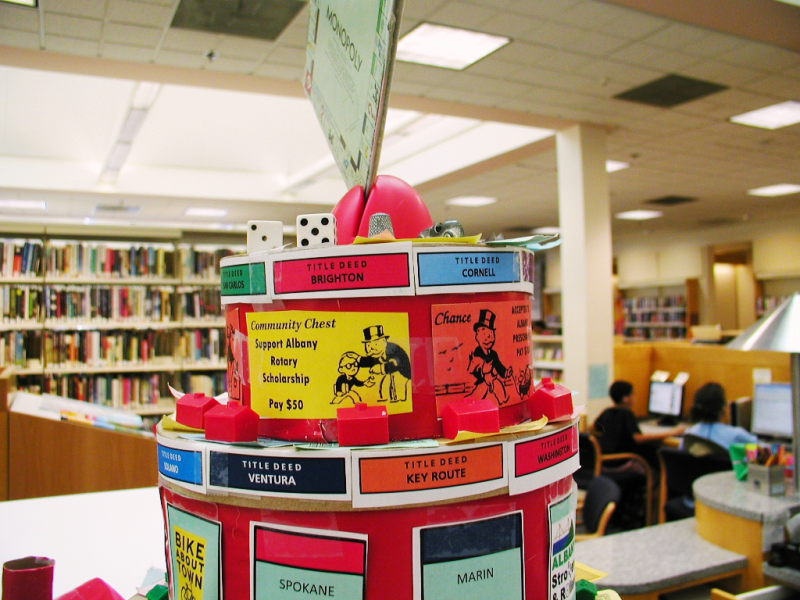 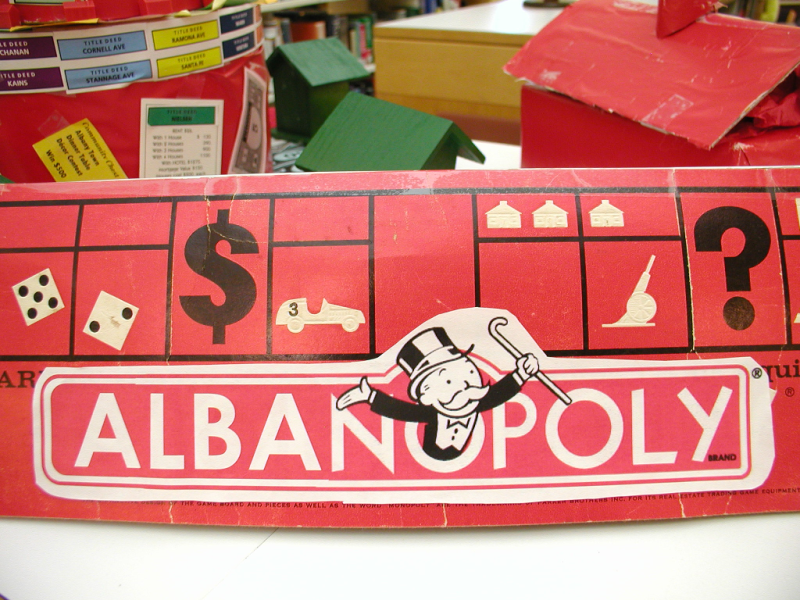 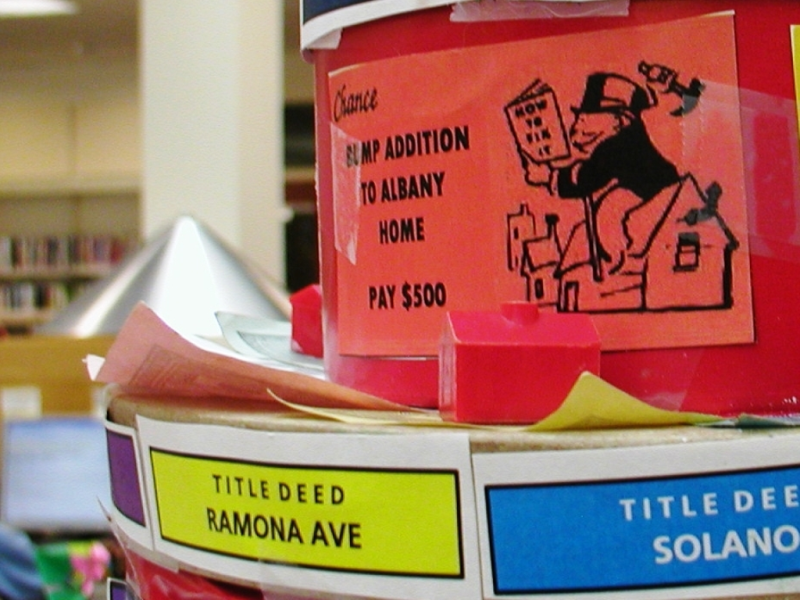 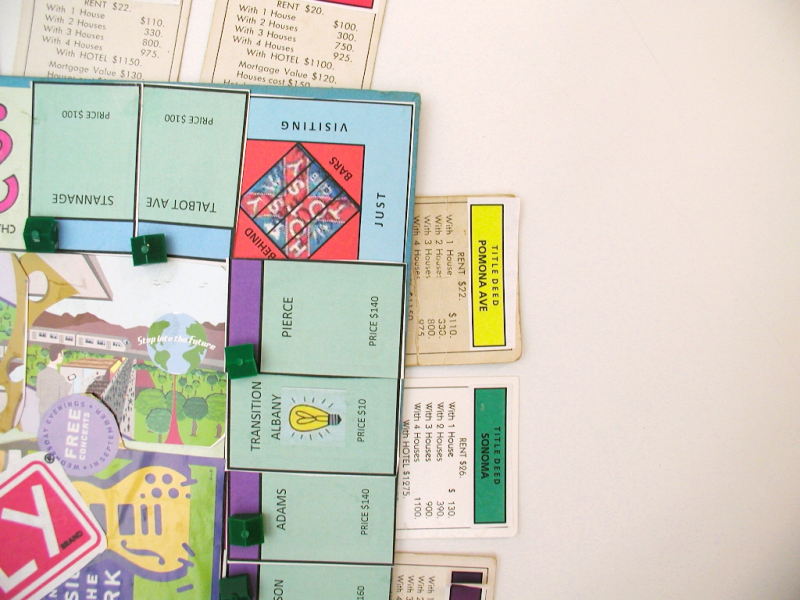 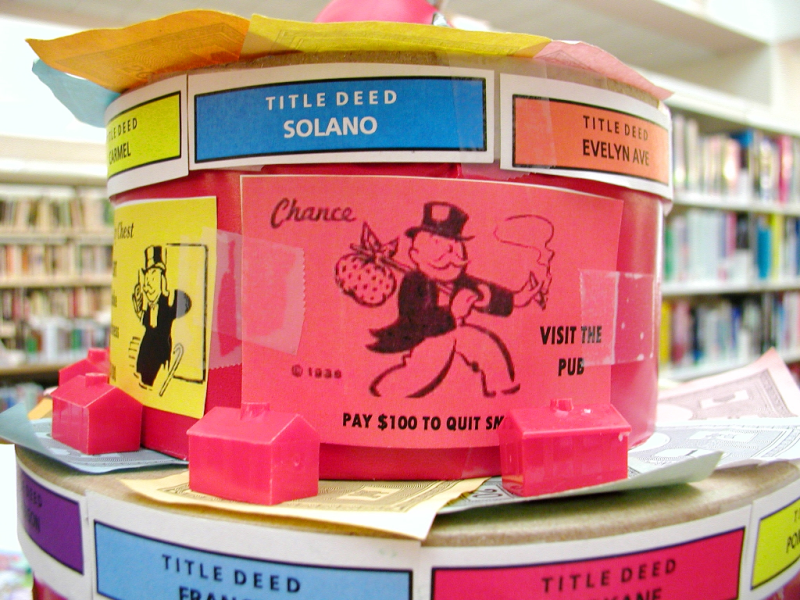 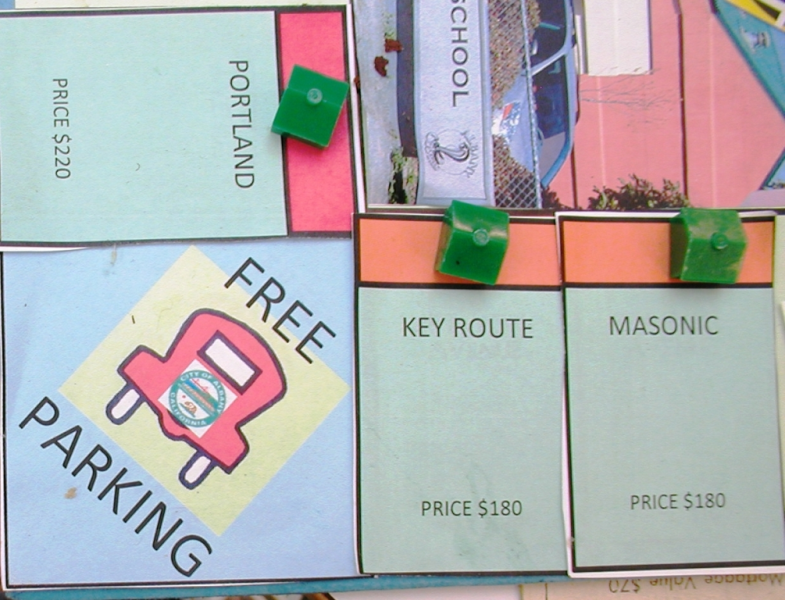 The best news of all is Albanopoly is on display at the Library reference desk. 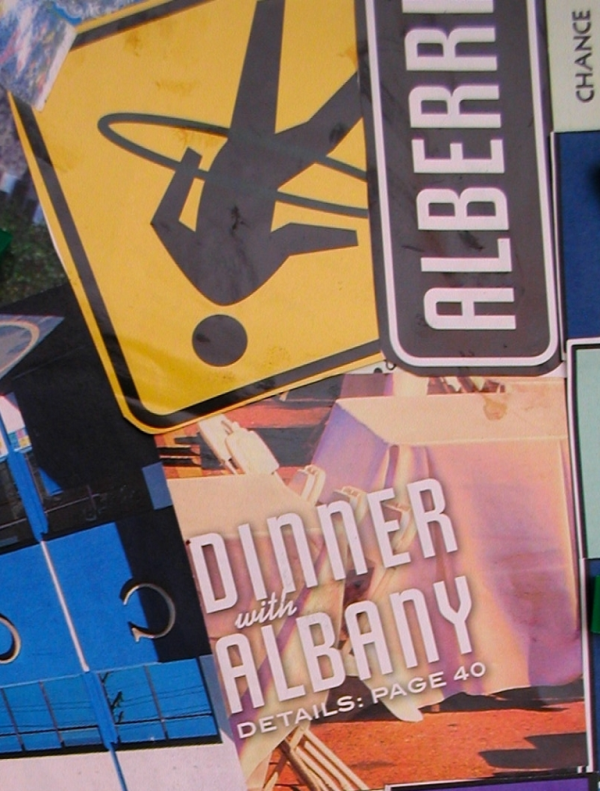 Come see the wit and wackiness for yourself!